The natural stone construction was built in 1890 and had the function of a stable in earlier days. 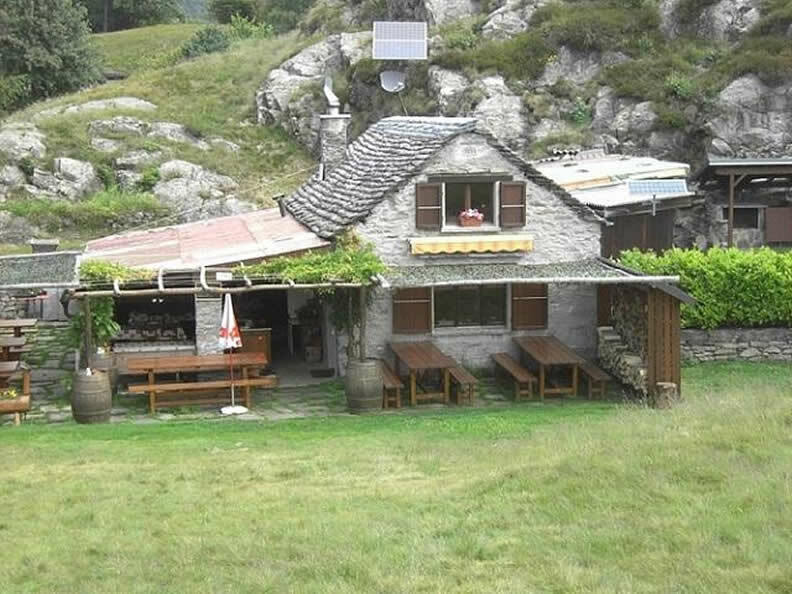 It was completely reconstructed and converted into a cabin with a "grotto ticinese" (restaurant) in 1970. The typical rural structure is imbedded in a spacious and agreeable surrounding area, besides a pond and with a breathtaking panoramic view onto the bay of Locarno, the Lake Maggiore and the Magadino plain. In 2008 further reconstruction and renovation work was undertaken. 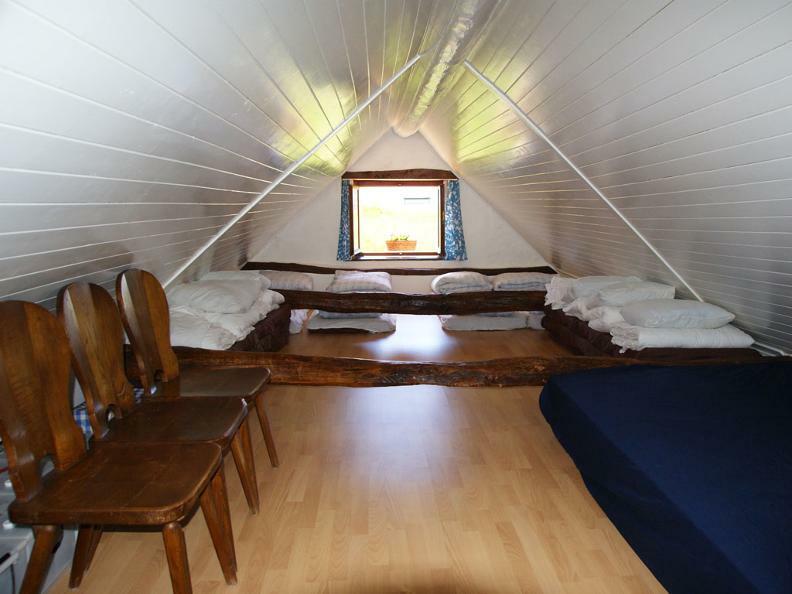 The cabin offers 10 sleeping places, 6 in one room and further 4 in the adjacent room, shower/wc and a large indoor room with tables to seat 15 people. The outdoor area is very spacious and offers tables, chairs, a covered veranda and a big garden, ideal for various activities. It is an ideal place for families. The cabin can be reached easily on foot. This excursion is equally suitable for children as well as less trained adults but is also an ideal starting point for more challenging excursions. 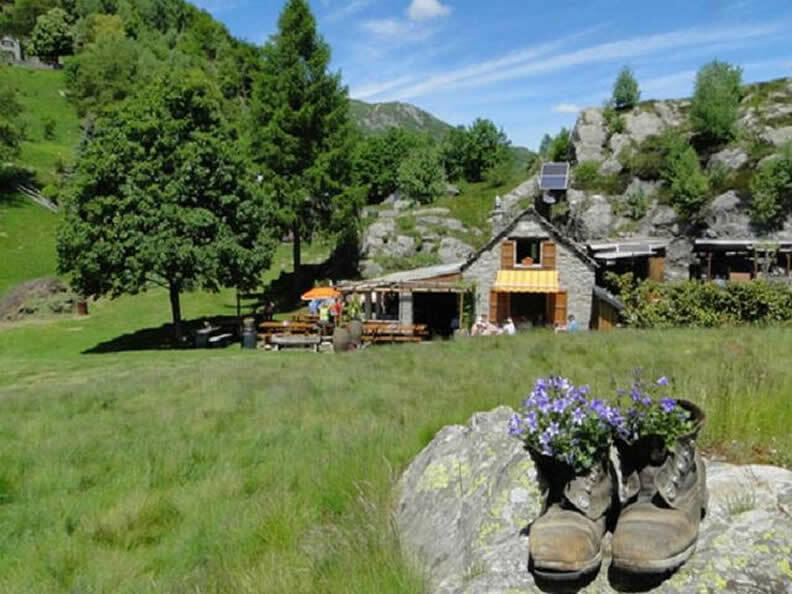 The meals are simple and healthy dishes based on the typical Ticino cooking and freshly prepared on the open-fire stove, to be enjoyed with a nice glass of ticinese wine and finishing off with some home backed cake. On request and availability provided, restaurant reservations for groups can be organised. Table reservations are generally advised and for overnight stays reservations are necessary.